Happy first day of Spring! It’s another Tuesday here at Jenn Blogs Books which means another fabulous new release. I am so excited to talk about The Broken Girls by Simone St. James. This book was on my radar for a very long time. I am so thankful that Berkley Pub sent me an early copy to review. I really enjoyed reading The Broken Girls. This book was on my wish list from the first time I heard about it. It is a modern ghost story that is haunting and creepy. I found myself reading late into the night because I couldn’t put the book down. The book jumps between Vermont in 1950 and 2014. There are a few missing persons and murder cases surrounding the Idlewild Hall boarding school for girls. I think Simone St. James did an excellent job going between the different time frames and murders. I was never confused and deeply invested in every crime investigated. I was most impressed with the ghost story aspect of the novel. So many books with a ghost story theme are on the corny side or at least very predictable. The Broken Girls was a refreshing change to the Gothic genre. I could easily imagine the places described in the book. Especially the scenes inside the boarding school. This book touches on the Holocaust and the terrible things that happened at Ravensbruck Concentration Camp. I wish that Sonia, the character from the concentration camp, had her own novel. There is so much about her that I want to know. She was so strong even when others never realized it. She might be my favorite character from the 1950 story line. I think this book would intrigue a very wide range of readers. Anyone interested in historical mysteries, Gothic novels, ghost stories, and thrillers in general will find something they love in this book. Be warned, once you pick up this book it is very hard to put it down until you finish it! 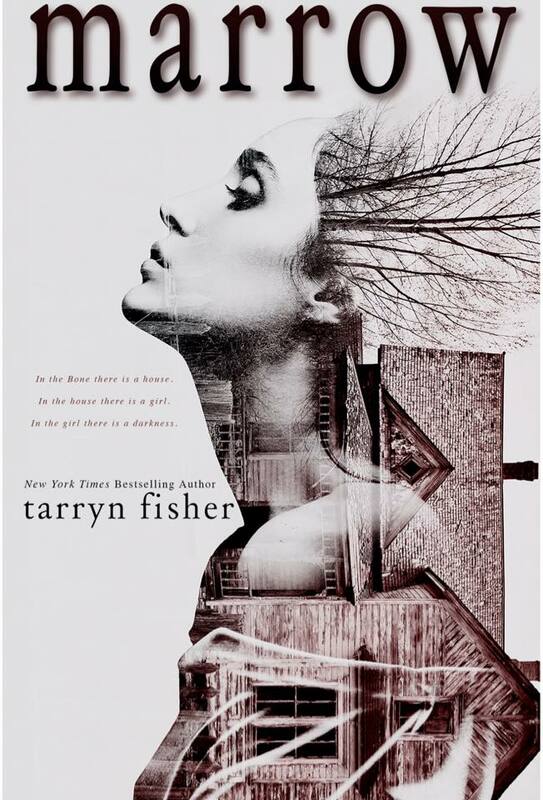 Tarryn Fisher is easily one of my top favorite authors. Her books are not sugar and spice. You will not get the warm fuzzies when you read her novels. What you will get is a story that will grip you, usually tightly around the throat, and never let go. I fell in love with her writing when I read Mud Vein last year, and I’ve been a huge fan and supporter every since. The only problem I have is that whenever I read Tarryn’s books I have an awful time writing a review. Her writing is multi-faceted. Her characters so real that it’s hard to imagine them not physically existing. I fail time and time again to properly articulate the roller coaster ride you experience when you read a Tarryn Fisher novel. The only way to truly experience the ride is to pick up a copy for yourself and dive right in. Below I will attempt to fill you in on Marrow. Before anything can be said about Marrow you first have to meet Margo. Margo is a murderess. A vigilante. A punisher of the child beaters, killers, and rapists that society doesn’t know about or can’t find. It’s doubtful that you would ever meet Margo that is unless you’ve been a bad, bad person. Margo keeps to herself mostly. Her best friend, only friend, Judah is in a wheelchair. His confidence is the only thing stronger than his muscular upper body. Margo and Judah live in The Bone. Her house is the one that looks vacant and starting to fall about. To Margo it’s the Eating House. It comes alive with the emotions rarely shown in the house. It mostly feeds off the drama of her prostitute and agoraphobic mom. At 19 years old and after the death of her mother, Margo is more mature and stronger than most predators on this earth. Her compassion for children goes as deep as the marrow in her bones. It’s her conviction to make the predators, the bullies, the killers pay. No one else will. Margo has survived The Bone, The Eating House, and her horrible mother, but can she stop herself from turning into the type of predator she is hunting? Only time will tell. As long as The Bone is in her marrow, she will always know how to find her way home. Recommendation: highly recommended to anyone who enjoys dark books that mess with your head and leave you with a book hangover. I have never read another author with the voice of Tarryn Fisher. Read her books. Drink them in. Store them in you marrow.